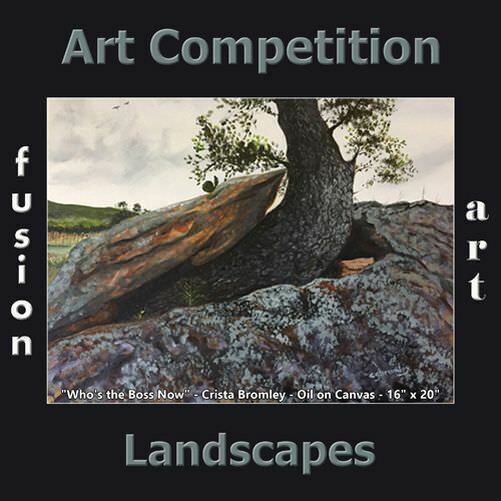 Submit your best art and photography depicting natural scenery and the physical elements of landforms such as mountains, hills, valleys, deserts, farmland, trees, rivers, lakes, ponds, forests, wilderness, polar regions, rainforests, islands and tropical landscapes. Some useful tips for landscape photography. Increase your chance of winning landscape photo competitions! Make sure you get to your chosen location at least one hour earlier so that you have some time for preparation. You will use this time for finding composition options and for that your smartphone could be handy. Don’t place your subject in the center of the frame, try using a rule of thirds. The same is true for the horizon. It should not cross your photo right in the middle. Try exploiting leading lines in your frame composition to point the viewer’s attention to your subject. Tripod is almost always a must. Besides its obvious benefits, it slows you down and makes you more attentional. If the weather is windy you may need to use a plastic bag for changing lenses to avoid moisture and dust getting to the glass. In landscape photography we tend to use manual focus and set your lens to hyperfocal distance. Always refer to your histogram and apply different exposure compensation values to make several frames. Since we want a wide depth of field in landscape photos, it is better to set your Aperture from 8 to 22. With longer shutter speed that is required with such narrow Aperture as 22, we can’t afford to have a camera shake. Therefore always use a cable release, a smartphone app on WiFi or a camera selftimer. The most needed filter will be a polarizer, which eliminates glare and reflections, make your sky deep blue and saturate your colors. ND graduation filters help reducing the amount of light coming to your camera. It is very useful in bright sunshine. For showing the scale it is sometimes advisable to include in your picture people. Play with creating a panorama and it may prove the best option as it widens your lens significantly.